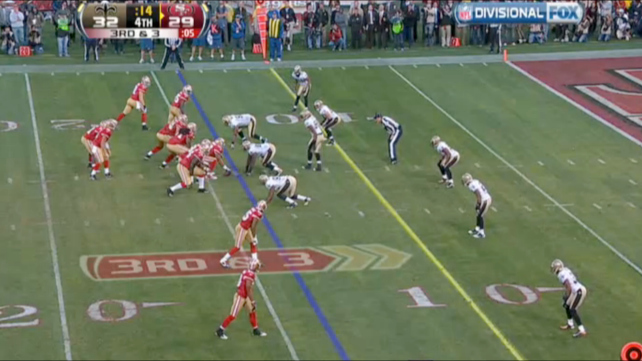 Published: June 14, 2012 at 05:43 p.m.
SANTA CLARA, Calif. -- The San Francisco 49ers were on the verge of capturing the NFC crown a season ago, but a scattershot offense kept them from reaching their potential. San Francisco ranked 26th in total offense and 29th in passing offense. However, after watching the offense work out in minicamp, I'm convinced the Niners will have one of the NFL's most explosive offenses. 1. Alex Smith's game continues to evolve. The former No. 1 overall pick surprised everyone with his outstanding play a season ago. 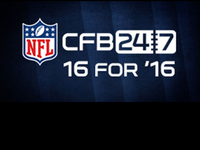 Smith completed 61.3 percent of his passes for 3,144 yards with 17 touchdowns and only five interceptions. He ranked ninth in the NFL with a 90.7 passer rating -- ahead of Ben Roethlisberger, Philip Rivers, Jay Cutler, Michael Vick, Cam Newton and Joe Flacco, among others. While his numbers were certainly impressive, it was his ability to adapt to Jim Harbaugh's system that stood out the most to me. Smith was more decisive in the pocket and appeared to have a strong grasp of where to go with the ball on each play. This was reflected in his ability to find the second and third receivers in the progression, something he hadn't done well in the past. In watching Smith closely at minicamp, I see a quarterback who continues to make major strides in his development. He efficiently works through his reads and quickly gets the balls into the hands of his playmakers on the move. This allows Vernon Davis, Randy Moss, Michael Crabtree and others to utilize their superior athleticism and outrun defenders in space. Smith also displayed better footwork and fundamentals in the pocket. He routinely set up at the top of his drops with proper balance and body control, allowing him to fully incorporate his lower body into throws. As a result, his balls had more velocity and zip, and he was able to squeeze throws into tighter windows. Smith's improvement in this area was apparent when he connected with Crabtree on an angle route between multiple defenders in the end zone to conclude the 49ers' red-zone period. This was a similar throw to the game-winning toss to Davis against the Saints in the NFC divisional round, but Smith's willingness to let it rip reflects a renewed confidence in his ability to fit the ball into small windows. If Smith's growth as a passer and playmaker transfers from the practice field to game action, the 49ers' passing game will improve by leaps and bounds in 2012. 2. The 49ers have a deeper and more talented receiving corps. The 49ers' passing game revolved around their tight ends a season ago, but that will change in the fall. The receiving corps has been completely revamped with Randy Moss, Mario Manningham and A.J. 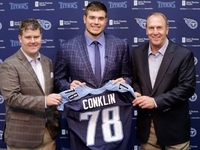 Jenkins coming aboard in the offseason. That trio brings size, speed and big-play ability to the field, and Harbaugh will craft a game plan that takes advantage of their unique skills. Moss, who sat out last season following the lockout, still possesses the speed and quickness to thrive as a vertical weapon on the perimeter. He has impressed Niners coaches with his ability to track the ball in flight, and remains a threat to run past defenders on deep routes. After watching him work out at practice, I was not only impressed with his raw speed, but his burst coming out of breaks. 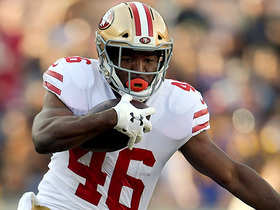 He routinely separated from defenders on crossing routes, and that could encourage the 49ers to use him on more horizontal routes to capitalize on his ability to get outside the defense. Manningham joins the team after a productive four-year run with the New York Giants. He amassed 160 receptions for 2,315 yards and 18 touchdowns as a part-time starter, but has shown flashes of brilliance when healthy. For instance, Manningham totaled five receptions for 73 yards in Super Bowl XLVI, including the 38-yard catch the keyed the Giants' game-winning drive. 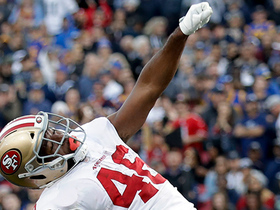 His ability to make big plays down the field will add a different dimension to a 49ers' offense that lacked a consistent vertical threat a season ago. In practice, Manningham's playmaking ability was on full display, as he routinely came down with acrobatic catches in traffic. With most defenses lacking quality corners throughout the depth chart, the 49ers have a huge advantage when spreading out the field. Jenkins, the 49ers' first-round pick, is a smooth, fluid playmaker in the mold of Brandon Lloyd. He excels at running the intermediate portion of the route tree. From speed outs to square-ins, Jenkins' ability to separate from defenders will allow him to man any position in San Francisco's four-receiver sets. 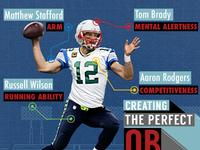 If he can quickly master the playbook, he could be a key contributor as a first-year player. 3. The Randy Moss factor will alter opponents' game plans. Moss has been virtually invisible over the past two seasons -- sitting out all of last season, while tallying just 28 receptions for 393 yards and five touchdowns with the Patriots, Vikings and Titans in 2010 -- but defensive coordinators will still pay extra attention to the six-time Pro Bowler out of respect for his impact potential. This will likely lead some teams to roll coverage in his direction, making sure the corner always has a safety over the top to limit deep-ball opportunities. Opponents will also mix in different combinations of coverage with various brackets and traps to ensure Moss doesn't face isolated matchups on a consistent basis. 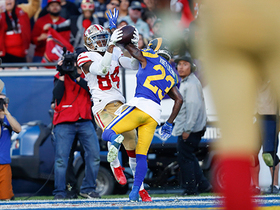 Although these tactics will impact Moss' ability to make big plays, it should open up the field for the rest of San Francisco's pass catchers. 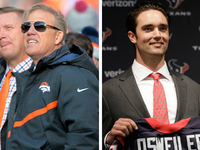 Davis and Crabtree, in particular, should benefit from the added attention paid to Moss. Both excel at finding openings in the intermediate areas of the field, and Moss' ability to clear zones with his speed should provide them with more room to work. 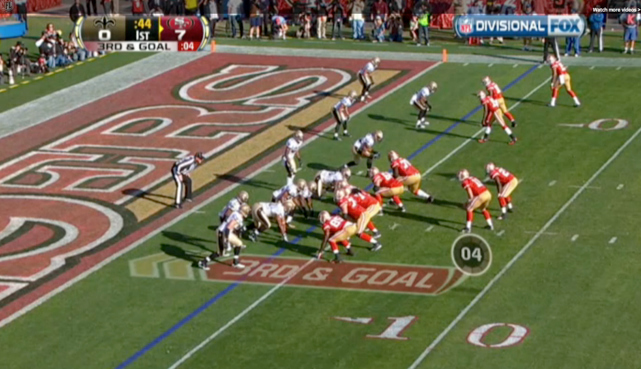 The 49ers' passing game is built upon the utilization of crossing routes at various levels, making Moss a perfect vertical decoy. Moss' impact will also improve the 49ers' running game, with opponents unable to extensively use eight-man fronts to crowd the line of scrimmage. Defensive coordinators will hesitate to drop a safety in the box when considering the potential problems created by leaving a corner isolated on Moss on the outside. As a result, Frank Gore, Kendall Hunter and LaMichael James will find more room to run between the tackles without an additional defender at the second level. 4. 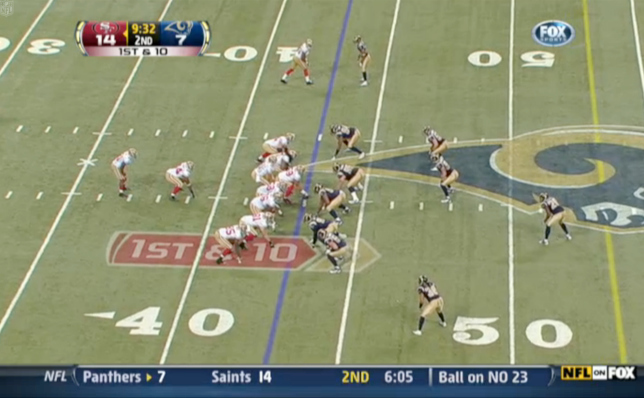 Jim Harbaugh and Greg Roman are getting more creative with formations and personnel packages. The 49ers' offensive staff deserves a ton of credit for utilizing various formations, shifts, motions and personnel packages to mask their offensive deficiencies a season ago. Harbaugh and Roman would creatively switch between "21" (two running backs, one tight end and two receivers), "12" (one back, two tight ends and two receivers) and "22" (two running backs, two tight end and one receiver) packages to prevent defensive coordinators from honing in on their offensive intentions, while also creating mismatch opportunities for their top playmakers (Davis, Crabtree and Gore) in space. 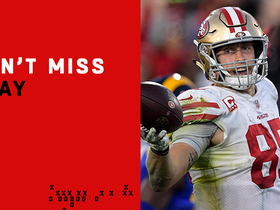 While most offensive coordinators around the league attempt to create big-play opportunities in a similar fashion, the 49ers were exceptional at using multiplicity to generate big gainers in the passing game despite lacking a legitimate outside threat last year. However, the additions of several playmakers to the receiving corps could make the 49ers' utilization of multiple formations, shifts and personnel packages deadly in 2012. At practice, San Francisco seamlessly shifted from two-back formations with one or two tight ends on the field to empty sets with two receivers aligned in the slots and the tight ends and/or running backs deployed on the outside. 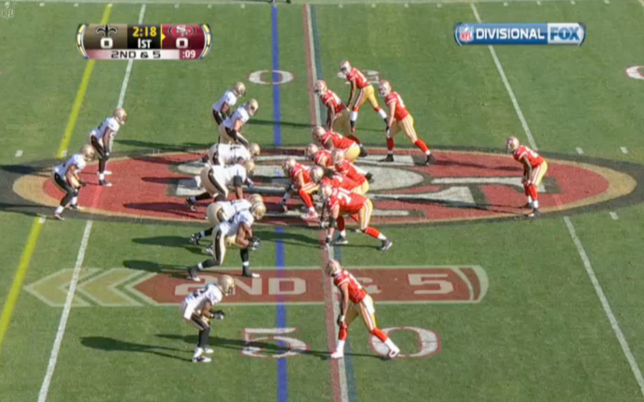 The 49ers complemented their exotic formations with various motions and shifts in the backfield. This subtle tactic can alter the strength call for the defense, making it difficult for the defenders to know their assigned gaps and coverage responsibilities. Long story short: The Niners showcased clever strategies last season, but now they have the pieces to really give opposing defenses fits.